30 years of studies by medical experts around the world, science, research and clinical evidence continues to support the safety of cosmetic talc. 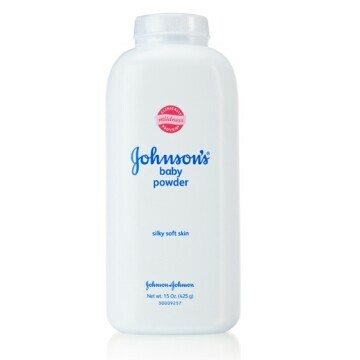 We first offered JOHNSON’S® Baby Powder as a product choice more than 100 years ago because we were confident in the safety of talc. And today, we continue to manufacture and sell JOHNSON’S® Baby Powder with talc because we remain completely confident in its safety. We remain committed to safety and innovation, and will continue to work hard to exceed consumer expectations and evolving product preferences. This commitment to innovation led to the introduction of JOHNSON’S® Baby Powder made with cornstarch as an additional option for consumers nearly forty years ago. Everyone at Johnson & Johnson sympathizes deeply with the women and families who have been affected by ovarian cancer, a devastating disease with no known cause. We know the women and families affected are searching for answers and want to understand the science. Talking with independent consultants from outside our company about their point of view on the safety of talc. After 30 years of studies by medical experts around the world, science, research and clinical evidence continues to support the safety of cosmetic talc. Two widely-accepted, very large studies which followed women over a period of time — the Nurses’ Health Study by the Harvard School of Public Health published in 2009 and the Women’s Health Initiative Observational Cohort by the U.S. National Institutes of Health published in 2014 – found no association between talc and ovarian cancer. We also know that some epidemiology studies have reported an association between talc and ovarian cancer. However, various governmental and non-governmental agencies as well as other expert panels have reviewed and analyzed all available data, and none have concluded that talc can cause cancer. Concerns about the possible association between cosmetic talc with ovarian cancer increased after recent jury verdicts in the United States. It is natural for trial verdicts to raise questions about the product involved, and it’s also important to distinguish jury verdicts – in the United States – from regulatory rulings or rigorous scientific findings. Johnson &Johnson has always taken questions about the safety of our products extremely seriously, especially concerns about products like JOHNSON’S® Baby Powder that families have trusted for generations. We continue to believe in the safety of JOHNSON’S® Baby Powder containing talc and we trust our consumers to make their own decisions – which are why we want to provide the scientific support for the safety of talc. Our goal is always to meet our consumer’s needs and we are fortunate to have had this opportunity for more than 130 years. To view the official company statement on the May 2 verdict, please click here. To learn more about the safety of talcum powder, please visit factsabouttalc.com.